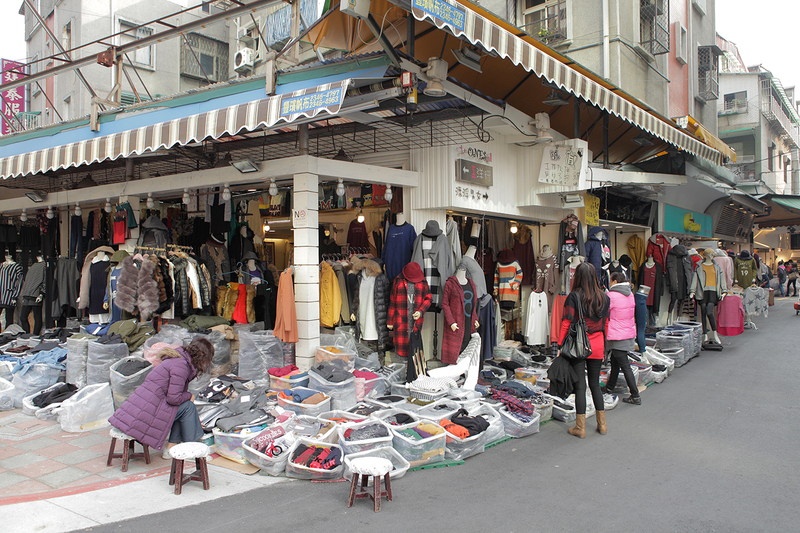 Here's a premium shopping trip for you: know that in Taipei "value for money" in clothing and accessories means the Wufenpu Garment Wholesale Area . Located in the eastern part of Taipei City, here your tourist dollar travels far. The literal translation of "Wufenpu" is "five parcels of open land," indicating that in pioneering days the first Chinese settlers bought up a large plot here in modern Taipei's Songshan District in a group of five. 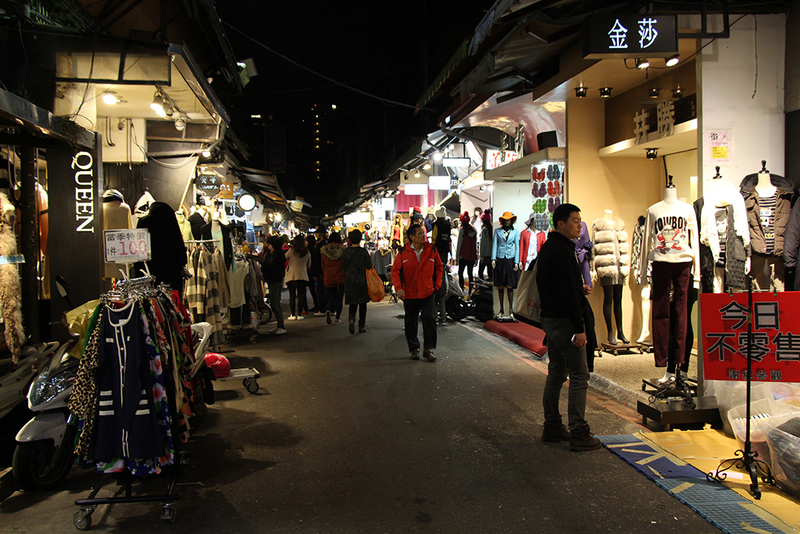 To today's Taipei residents, however, the place name is synonymous with a renowned wholesalers' district stuffed to the brim with quality inexpensive clothing and related adornments -- and stuffed with happy bargain-hunters most every day. It is now rightfully gaining recognition on the tourist map as well. Some people release the stress accumulated in the workaday world by climbing mountains (read this issue's article on hiking). Some find release by sitting quietly and reveling in the appreciation of the more delicate beauties created by Mother Earth (see our article on bird-watching). And some "many" seems more appropriate find blissful release by going out for a day of ardent purchasing of material goods, taking possession of items they may or may not have known in advance that their little heart desired. Wufenpu officially called Wufenpu Garment Wholesale Area is just the antidote, then, for those in the last category seeking pure joy, and just the thing for those in all categories in need of clothing necessities or gifts for those waiting back home. Nat'l Hwy 1 → Exit at Neihu Interchange → Sec. 2, Chenggong Rd. → Xinming Rd. → Chengmei Bridge → Dongxin St. → Sec. 6, Zhongxiao E. Rd. → Yongji Rd. → Zhongbo N. Rd. 1. Take the THSR to Taipei Station, transfer Taipei MRT to Houshanpi Station. 2. Take the train to Songshan Station.